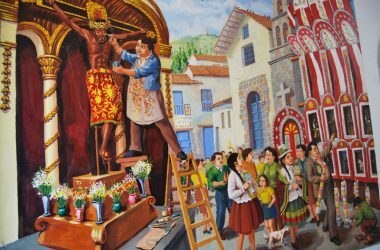 Just before Christmas, the people of Cuzco put together nacimientos. 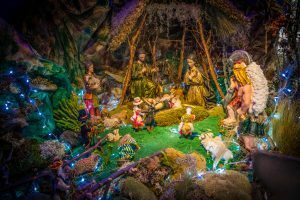 The word means “births” and is what in English are called manger scenes. As the Spanish word suggests they focus on the birth of the Christ Child. 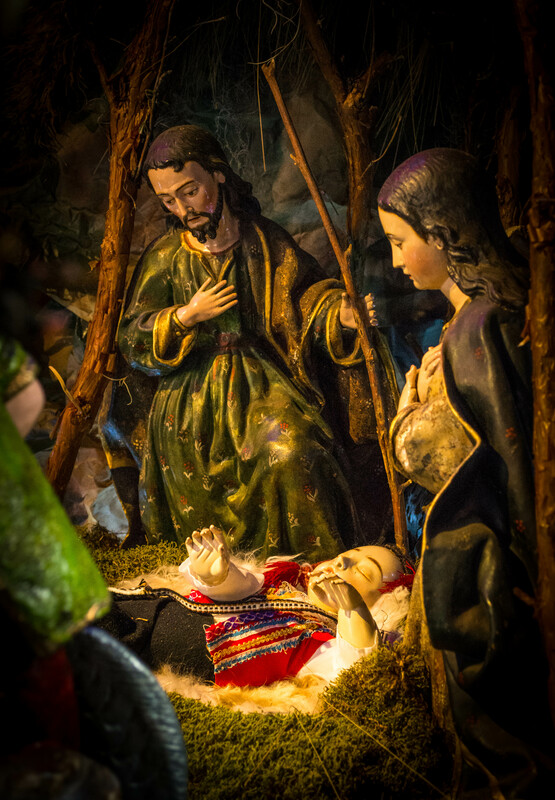 Once the scenes are constructed, and they are often very complex, then at midnight on the 24th of December when Jesus is said to have been born the family’s niño, child, is carefully placed in the manger in the scene. The nascimientos are like models made in miniature of different landscapes, such as deserts, forests, lakes, etc. In the center you find the birth of Jesus in a manger. It contains animals and personages made from clay or porcelain. These include the Wise Men, called magician kings in Spanish, Mary, Joseph and all others who participated in the birth of Jesus. 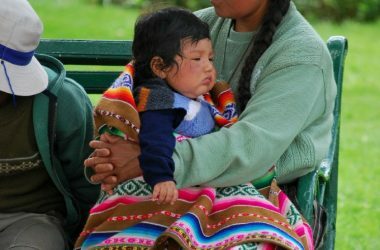 In the city of Cuzco, the nascimiento is almost always put together in the form of a mountain, while on the altiplano—the nearby high plateau—the nascimiento includes deserts and forests. At the top of the mountain, and often inside it, is the manger in which the new born Christ will be placed. Near him will be sheep, cattle, burros and even animals from other places, such giraffes, camels. You will also see shepherds and angels. 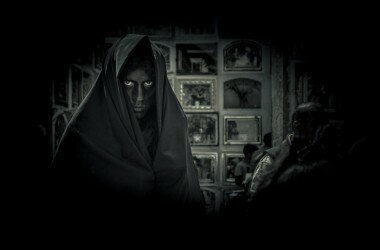 All of them will be shown on a pilgrimage to the top of the mountain in order to be present for the birth of the child. This is like the pilgrimage people make to the mountain for the feast of Qoyllur Rit’i when they go to pay homage to the Christ in the high mountain by the glaciers. 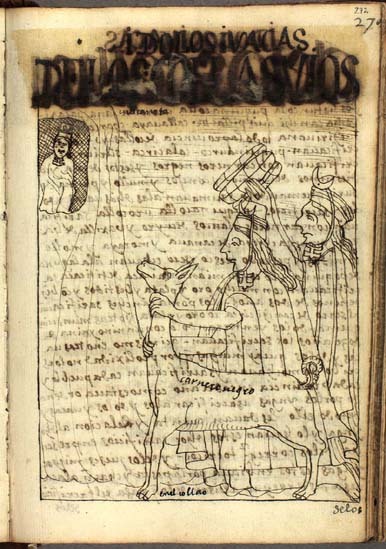 It is also like pictures the chronicler Guaman Poma made of native deities inside mountains. 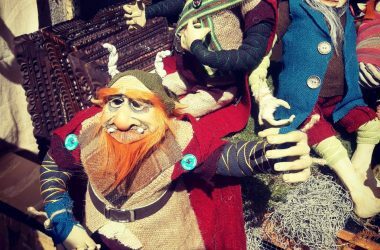 To make the scene realistic and connect it with the world that surrounds us, people use different wild plants, although they also use different colors of sawdust. For some two weeks before Christmas people went out into the areas near Cuzco to collect the necessary vegetation. Others gathered it not for themselves, but to sell to those who did not have the time to go get their own in order to make a proper nascimiento. In different parts of the city people carry out sales of the moss, greenery, and plants. One of those was the Santurantikuy market held on Christmas Eve so people would have all they needed to place their Niño Emanuel in the manger at midnight. The churches of Cuzco also put together their nascimientos for all the faithful to visit when they come to mass. 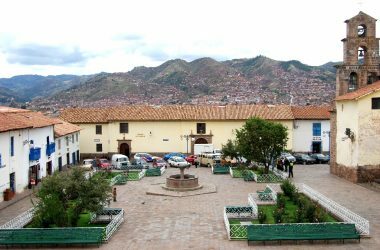 You will also see nascimientos in the plazas of Cuzco’s different districts. These are larger sized so that all the people who pass by will be pleased with their construction. In our families we put up the nascimientos so that the smallest ones in the family can observe and learn this tradition of putting them together. 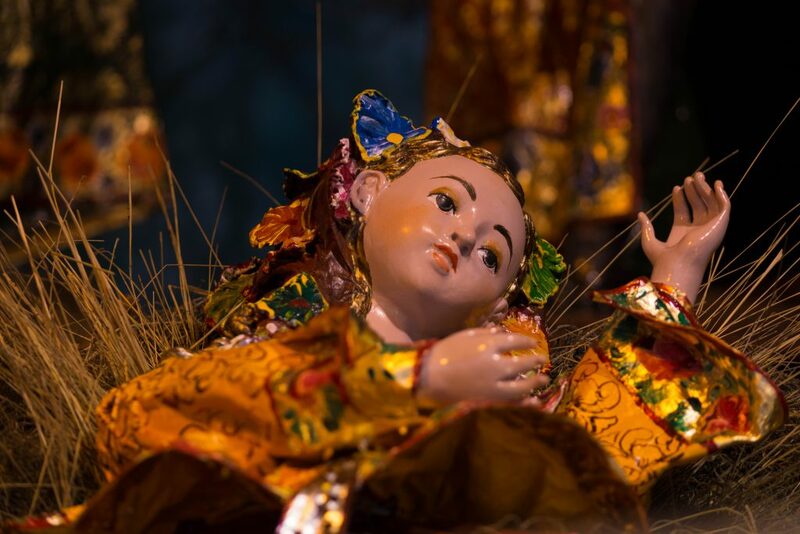 For the 6th of Janaury, what we call the Bajada de Reyes, the Feast of Kings, we take down the nascimientos and put away all the figures for the next year.